Martin Strings are high quality strings for daily use. Core and wrap wires must meet strict requirements in order to make the grade. 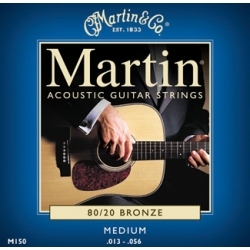 Martin Strings are wound to precise specifications. Available in 80/20 Bronze and Phosphor Bronze.